I was having lunch when I saw him crossing the street. I was not surprised for me because many people I know had met him before here in Miami and I knew that I would met him also someday. 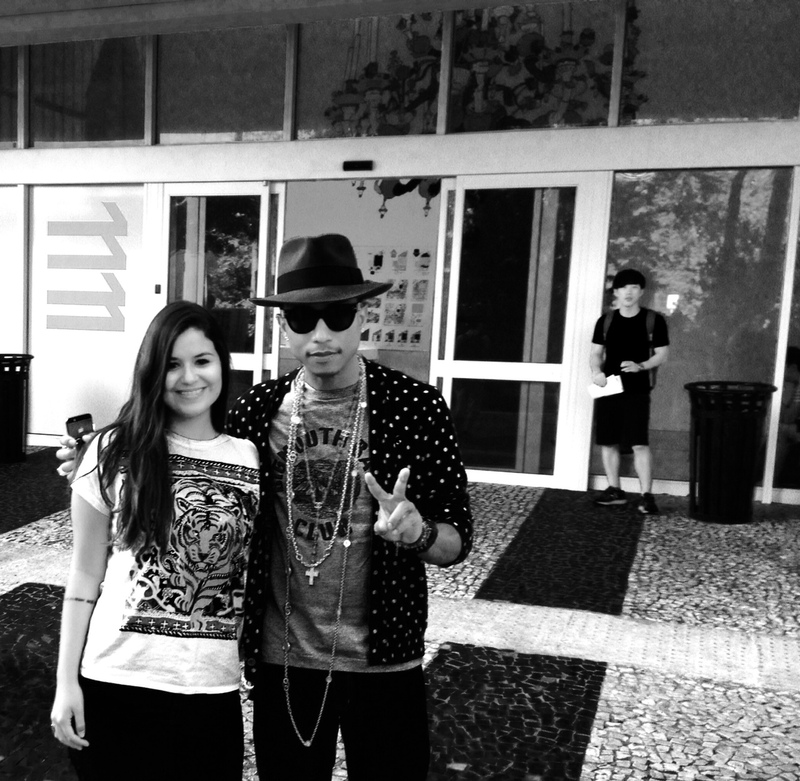 But I was so exited because I think Pharrell is an awesome producer and singer! I asked Abdul to take our picture. 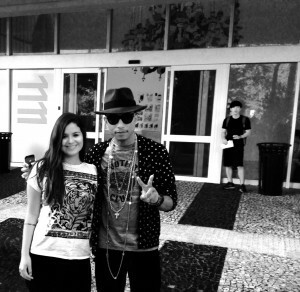 He (Pharrell) was really nice and friendly to everybody, which made me admire him even more. Learning English and Celebrity Encounters – just a day in the life of our Miami English School. Special thanks to Fernanda for the picture! !